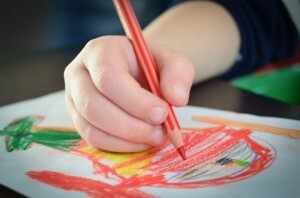 First and foremost, drawing is a great creative outlet through which your child can get in touch with their feelings and imagination, and then put them in paper with the colors and shapes of their choosing. Planning a drawing, executing the plan, and solving problems that present themselves along the way will give your child the tools and skills they need to see projects through in an effective manner. How the colored pencils are held, how much strength is put into them to control them, how they're moved across the paper, and more, are all small exercises that help your child practice and develop fine motor skills. Finally, drawing gives your child a chance to play with colors, shapes, spatial arrangements, and more, which can ultimately have an impact on how well they process and respond to visual stimuli around them. The Tutoring Center, Navarre FL offers early age tutoring for young students who could benefit from classes that will allow them to develop their basic academic skills and get a boost in their education. Call 850-939-5384 for more information on tutoring in Navarre FL, or to request a free consultation.